We all know Samsung was the one to Initiate the prototype for folding phones. Though Royale Corporation wins the race by launching its FlexPai. Even Xiaomi has now revealed their foldable device with three panels. It has already stolen the thunder of Samsung by showcasing much good looking device with a much practical concept. However, Brands like LG, Motorola and more are also working on one of such type. So how come Huawei not? But Huawei has the upper hand among all the brand as it confirmed its foldable device with 5G support. 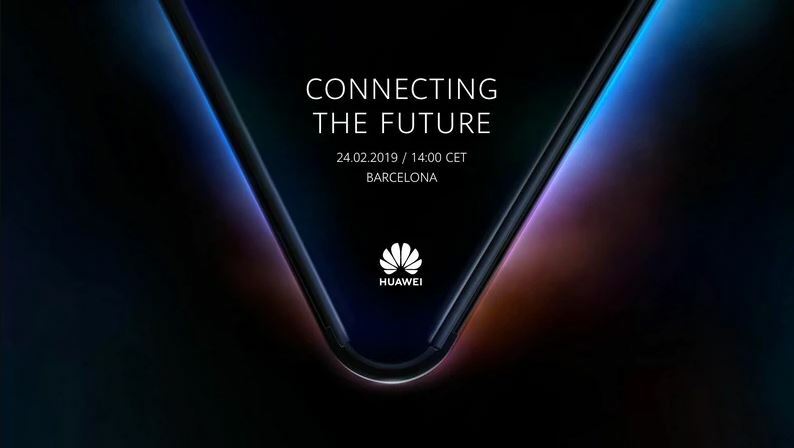 Huawei confirms its first 5G foldable device launch on February 24. The Chinese company has shared a press invite on its official Twitter account for the same. Huawei 5G phone (foldable) was reportedly planned for release before Samsung’s just like the launch of the first smartphone with the Infinity-O display. But now, Samsung is expected to launch its foldable phone, hopefully, on February 20. As per the reports, Huawei foldable smartphone with 5G support will likely sport a 7.2-inch foldable display. Further, It will be powered by the company’s own HiSilicon Kirin 980 processor paired with the Balong 5000 modem for supporting 5G networks. Reportedly, the Company will manufacture 24k to 30k units in initial phase, however, arrival in market remains unclear. The launch of Huawei 5G foldable phone is just a matter of few weeks. But with the Brands like Xiaomi, LG, Motorola, 2019 appears to be the year of foldable phones.